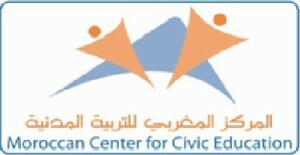 The Moroccan Center for Civic Education is an independent NGO founded in 2004. It developed a strong administrative and programmatic capacity for expansion very soon after its initial establishment. Its mission is to train and educate younger generations to become responsible, effective and active citizens committed to democratic principles. By the end of 2005, the Moroccan Center for Civic Education had extended its rigorous teacher training and implementation civic education programs to five out of sixteen regions of Morocco. The Moroccan Center for Civic Education has been working closely with governmental and non-governmental organizations in eight of the sixteen regions. A partnership agreement with the Ministry of Education was signed during the 12th World Congress on Civic Education that got together 250 participants from over 55 countries.